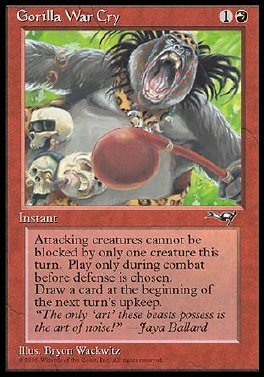 Play Gorilla War Cry only during combat before the declare blockers step. Attacking creatures can't be blocked this turn except by two or more creatures. Draw a card at the beginning of the next turn's upkeep.